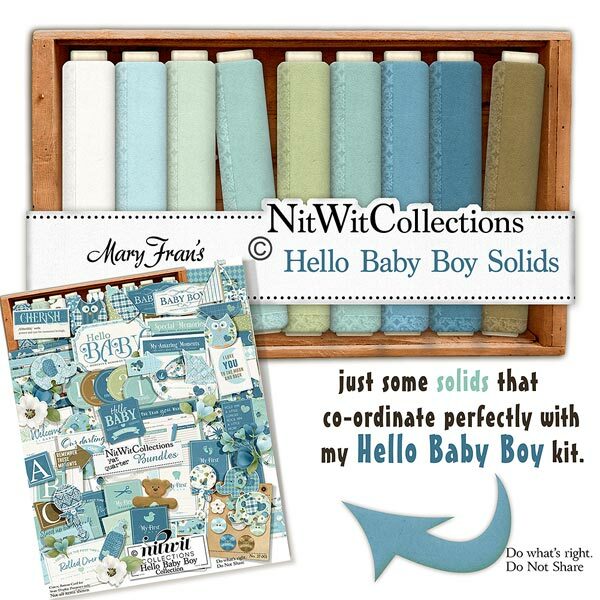 "Hello Baby Boy" Solids digital background paper pack gives you well designed papers to create with! A patterned colour coordinated border around each one with the centre in the solid colour for you to let your creativity have no bounds! These digital papers are NOT included in the FQB "Hello Baby Boy" Collection so please don't miss out!